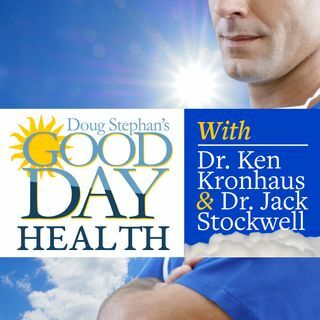 Host Doug Stephan and Dr. Jack Stockwell discuss the many important procedures that are not being taught in Medical School. Next, prescribing some drugs in childhood leads to Thyroid problems, later in life. Learn the truth about Oranges and Vitamin C. Then, all you ever wanted to know about tapeworms. Did you know that a lack of sleep affects growth of the Gray Matter in your brain. Plus, lots more information about maintaining your Good Health.